If you're a member of the media - we know you're on deadline and need information fast. 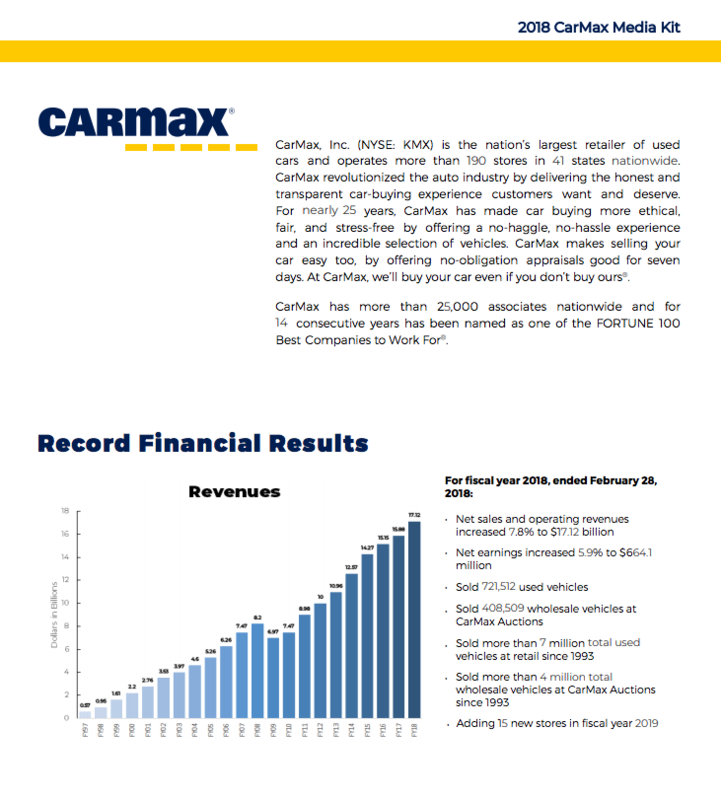 To download a printable copy of the fiscal year 2018 CarMax Media Kit click here. To download high-resolution logos and photographs from CarMax click here. CarMax provides the most transparent and integrity-driven car buying experience in the industry. Our approach to recalls is no different. To learn more about our policy and find additional resources click here.